The week-long event is in celebration of Canada 150, which is the 150th founding anniversary of Canada. Three events happened at different Canadian luxury resorts, highlighting the seasons of Canada: at the Fairmont Banff Springs in early summer, Fairmont Royal York Toronto in harvest season, and Chateau Lake Louise for winter. Chef Anton’s visit to the famous Fairmont Chateau Lake Louise is the finale of Canada Beef’s Canada 150 celebrations this year. Chateau Lake Louise is a luxury outdoor travel experience located in one of the most beautiful sceneries that Canada has to offer. Chef Anton rubbed elbows with some of the culinary experts including Chef Marty Carpenter, president of the Canadian Beef Grading Agency, and Abe Van Melle, the Technical Manager for the Canadian Beef Centre of Excellence. Interesting topics about Canada were discussed over dinner at the Chop Steakhouse and Bar. 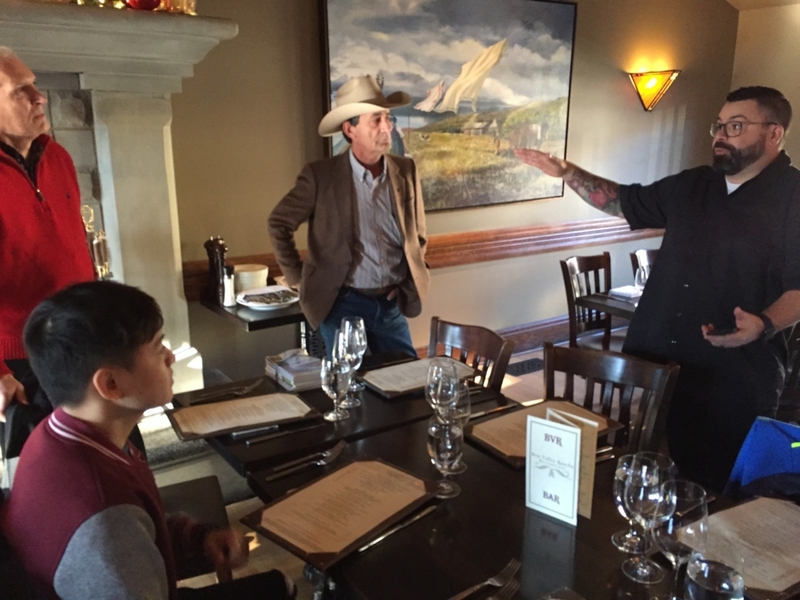 Lunch at the Bow Valley Ranche Restaurant with Michael McLean (in the cowboy hat) and Executive Chef Jean-Francois Fortin. According to Chef Marty, Canada beef is classified by its flavor, which comes from the predominant use of barley in their cattle feed. Combined with the almost vineyard-like culture of their cattle industry, this puts Canada beef in a league of the world’s premier beef products. Chef Anton also joined in the briefing activities scheduled for “Let it Snow” and toured the kitchen at the head office of the Canada Beef Centre of Excellence. Chef Marty brought the entourage for lunch to the Bow Valley Ranche Restaurant at Fish Creek Park where Chef Anton had the opportunity to meet Jean-Francois Fortin, the Executive Chef of the famous Fairmont Chateau Lake Louise and Michael McLean, who works with the Bar U Ranch National Historic Site. 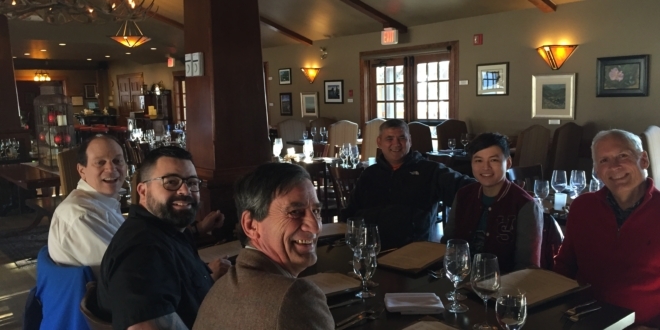 Chef Anton Amoncio with Carlos Munda and culinary experts at Bow Valley Ranche Restaurant at Fish Creek Park. Chef Anton had his share of the limelight when he presented his own recipes using the best quality Canada beef: Beef Morcon Sliders, Bistek on Green Onion Blinis, and Beef Shortribs Sinigang in Green Mango. He proved once more that Filipino chefs are at par when it comes to culinary artistry. 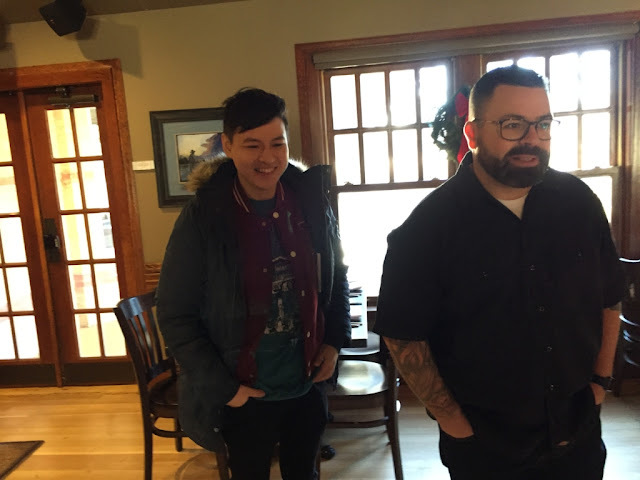 The warm acceptance that Chef Anton experienced in his trip to Canada was enough to melt even the biting cold of winter.